We offer several different options for pathways to the lake. So no matter what your budget is we can help! Concrete Cart Path & TN Crab Orchard Stone Steps with Metal Handrail. Great for those steep lake lots! 6x6 Timber lined pathway (stained) with TN River Pebbles. Affordable & Beautiful option! Concrete Pathways available in any width. USACE allows up to a 6ft wide pathway with an 8x8 turn around. USACE requires all new concrete pathways to be stained within 30 days of installation. Integral Color Mix available upon request. 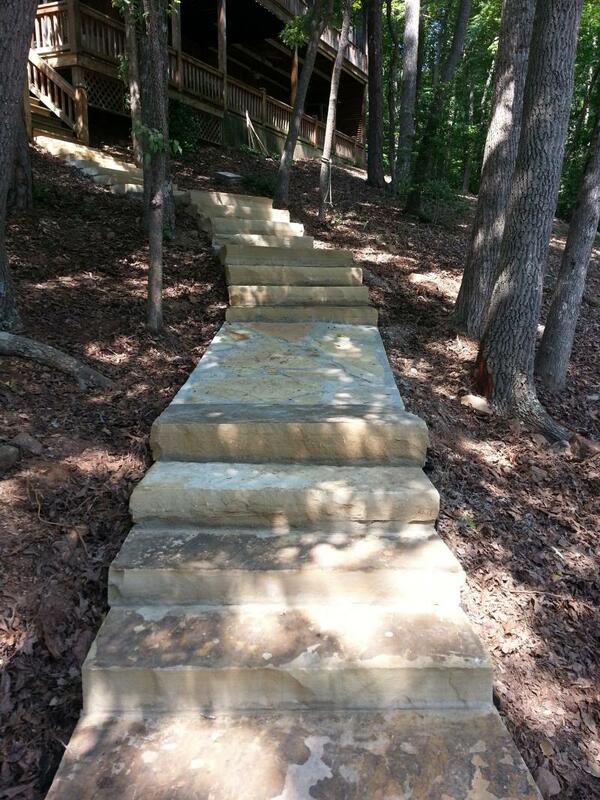 TN Crab Orchard Steps with Flagstone Pathway to the Lake.